Blood. Sweat. Tears. 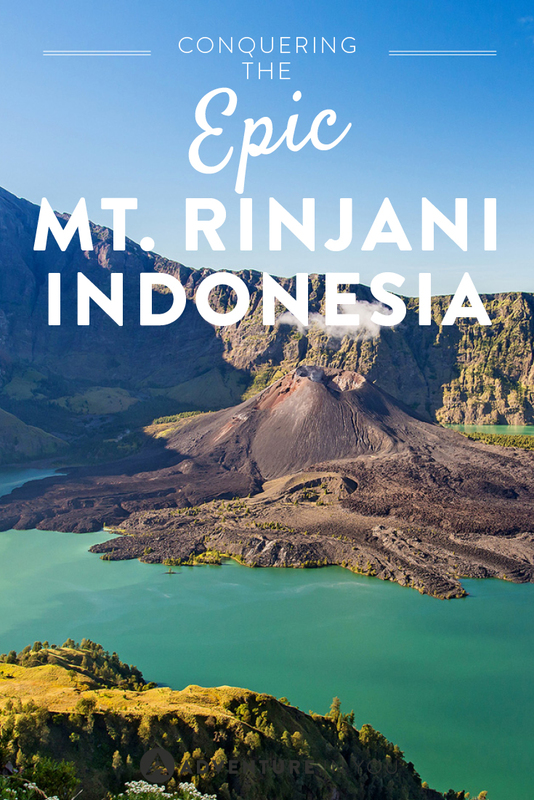 The first three words that spring to mind when asked about our epic journey to the 3726m summit of Mount Rinjani, the second highest peak in Indonesia. 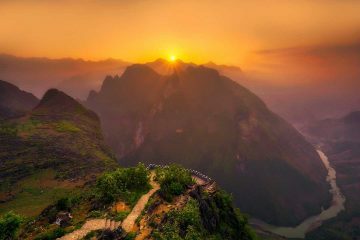 Whilst we have teased ourselves with treks throughout Asia in the past, including taking on The Worlds Deadliest Trail, scaling this colossal mountain was hands down the most challenging and yet the most rewarding trek we have done to date. 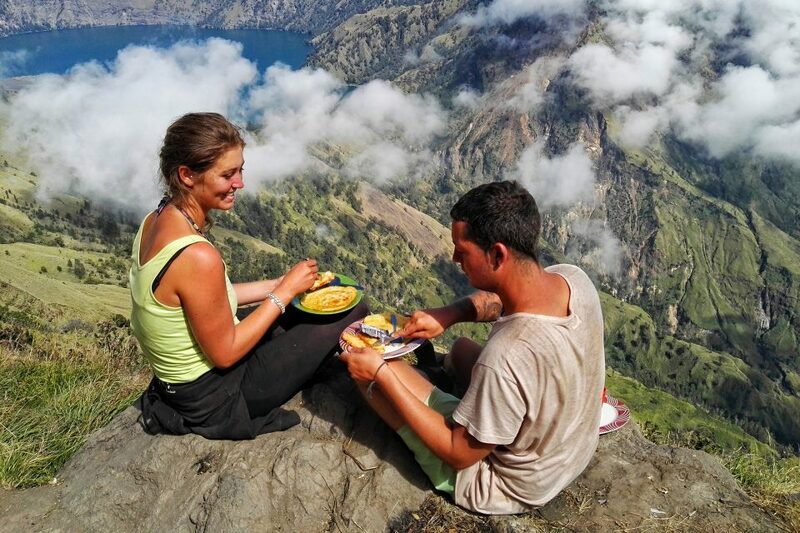 Many companies in the area offer guided tours to Mount Rinjani and when choosing what you want from the experience, it is important to take the route, level of comfort and eating arrangements into consideration. Having scoured through the various companies, we found Abul Trekking to offer the best experience for the money. We were introduced to Abul, a friendly and enthusiastic Indonesian who has worked his way up through the Rinjani ranks to lead a successful company of his own. 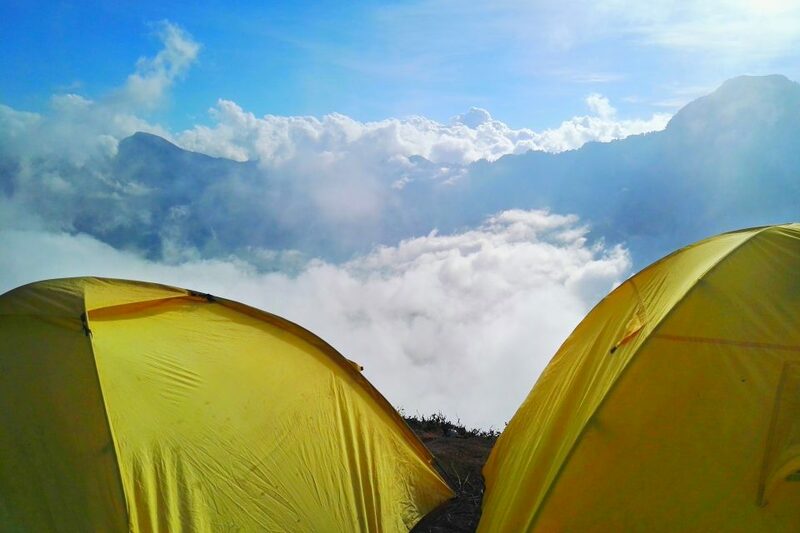 He and his carefully selected team know these parts like the back of their hand and opting for a three day, two night trek, we were safe in the knowledge that we would get to experience all that Rinjani has to offer! 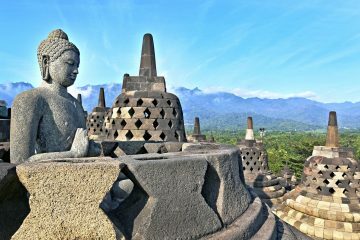 There are two routes that the tour companies follow, Senaru to Sembalun or Sembalun to Senaru. 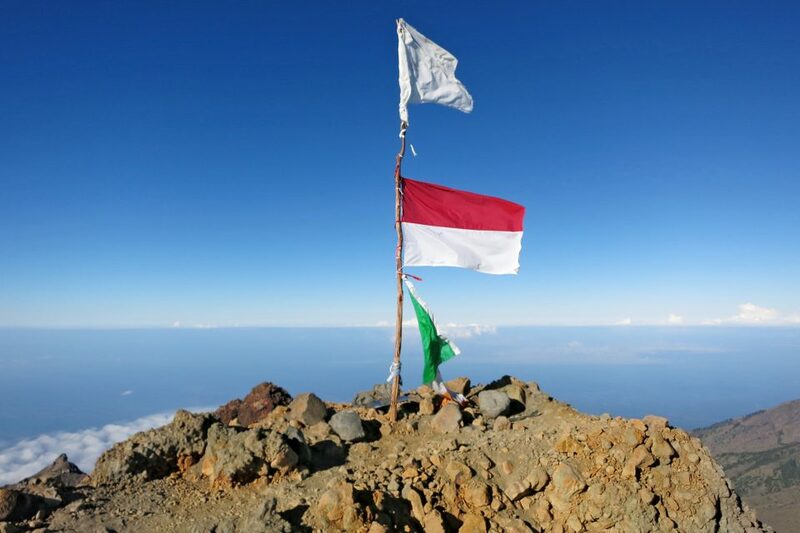 From his experience, Abul suggested we take the Sembalun to Senaru route, advising that the trek would be most rewarding by scaling the summit on the second day rather than after three days trekking. A decision that we definitely didn’t regret! 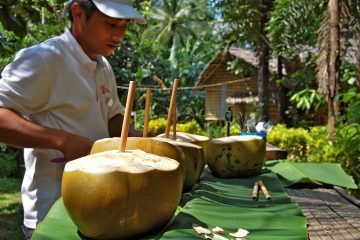 Coming from the Gili Islands, we were met at Bangsal harbor on Lombok by Abul’s team and taken to Senaru village where we were would be staying for the night before our early start. The rooms were comfortable and offered amazing views with Mount Rinjani in the backdrop, wetting our appetite for the start of our hike. After a hearty breakfast we hopped into the back of a pickup with our porters and set off in the sunshine through the villages to the base of Rinjani. Abul Trekking provides all camping essentials including sleeping bags, mattresses, tents, walking sticks and cooking equipment. Temperatures at the top can drop below two degrees so ensure you prepare accordingly! The first couple of hours trekking were smooth as were hiked at our own pace through the woodland and fields as we gazed up at the majestic Rinjani, which towered above us. As the day progressed, we passed through the designated positions where we stopped for lunch which way surpassed our expectations; fruit platters, cold water, fizzy drinks and a delicious noodle dish with crackers, egg and chicken. Brewing over the mornings trek, this will be easy we thought! Little did we know that just over an hour after lunch, we would be using every nutrient consumed to push our way further to the crater rim, a place we would call home for the night. The climb got steeper, terrain more rugged and bodies more exasperated. Keep going we urged ourselves. As we climbed higher, we almost forgot to stop for breath to take in the scenic sights of the climb. After over 7 hours of climbing, the horizon of the crater rim came into view, light at the end of the tunnel! Started from the bottom now we’re here. We made our way through the wades of other campers to where our porters had chosen a secluded, almost exclusive pitch for our campsite. From our position, sitting high above the clouds, we had front row seats into the crater and the surrounding area. This is what we had been pushing ourselves for. As the sun set, we digested the picturesque views that lay before us. This is what trekking is all about! After fuelling on a great evening meal, we lay in our tent star gazing across the crater, the full moon lighting up the lake below and magnificent mountain range towering before us. We excitedly bedded down early in anticipation of our 2am wake up call to scale the Rinjani summit. 2am came around soon enough and we were awoken with toast and tea. Walking sticks at the ready, we were on our way to the summit. The first ten minutes set the precedent for the rest of this section. It was tough. The terrain changed from the beaten path in the grassland to sheer shingle and volcanic rock. For every 2 grueling steps forward, we’d slip one back. In the thick of night, we waded uphill, passing many that were on their hands and knees that had been beaten. The only thing that kept us going was the moonlight dancing on top of the summit, and as it grew lighter, we became more determined to join in the celebration! As the sunlight protruded above the horizon, the climb was treacherous, a battle that needed not only physical but also mental strength. The air was thin, dust almost lining our lungs and the silence deafening as each climber battled mind over matter to the top. We were there, we had made it! The torture was over and we sank into the volcanic ground as we took some time to muster enough energy to stand tall and look over at our feat. And what a feat it was. 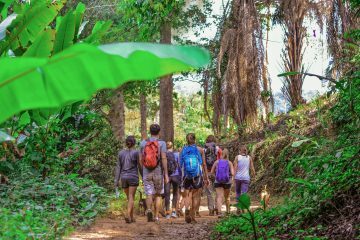 The thing we love most about trekking is that more times than most, the reward is as rich, if not richer, than the physical challenge the actual trek presents. The view from the summit out over the crater and the active volcano below, to the titanic igneous rock that was once lava flow running down the valley, was immense. There are many sights to behold from the summit. Not only are the views a thing of beauty, but the reward for your efforts are also most gratifying. As the morning sun radiated and with our bodies now rejuvenated, we headed back down the spine of the summit, marveling at the sights all around us. In what seemed like no time at all compared to the ascent, we were down to the camp site to enjoy our breakfast in the clouds on the crater rim. Chocolate and banana pancakes. All of this excitement and it was only 9am! Over breakfast our guides had advised of the days itinerary and we were excited to learn that after our descent to the lake below we would be splashing about in Rinjani’s hot springs later in the day. After stopping for lunch we made our way across the circumference of the lake, eerie clouds looming over that wouldn’t look out of place on a film set. After a couple of hours we heard the sound of waterfalls around the corner and the steam rose high over the valleys. A quick change and we were in! After two days of trekking, jumping in was invigorating. The hot water soothed our achy muscles and the water tore away the layer of dust and debris. 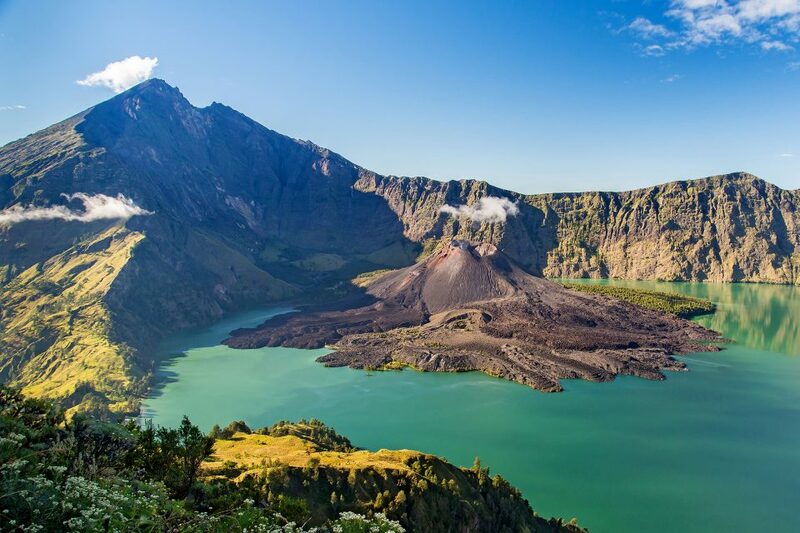 Rinjani’s very own utopia! 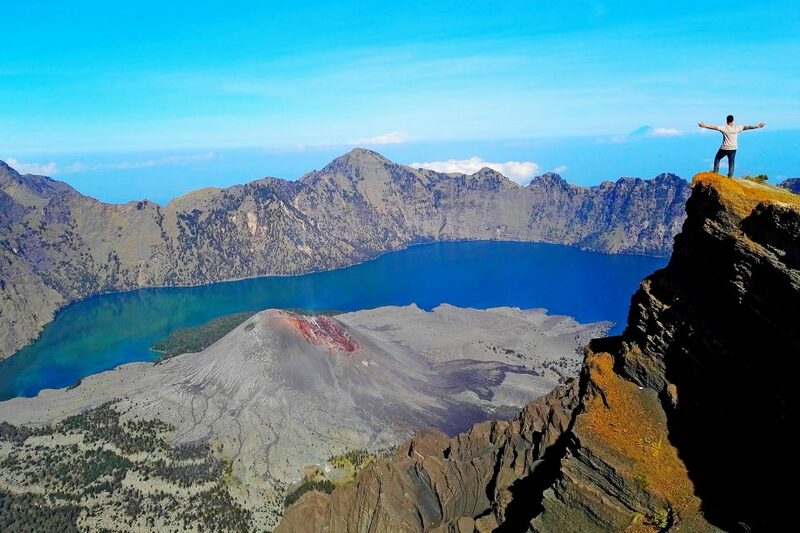 Feeling revitalized and reenergized, we again donned our trekking gear and headed up the other side of Rinjani to the next crater rim where we would camp for the night. After several hours, several stops and several deep breaths, we made it to the second campsite just after dark. Again, another great meal was carefully prepared by the porters and we feasted well after our days events. It was hard to believe how far we had trekked since our 2am start! As we settled into the night, it dawned on us that in the morning we would be heading back down to earth. We lay in our tent high above the World below and in our own little bubble on the mountain side, we shared in each others highs and lows of the previous two days. As dawn broke our guide enthusiastically advised us to trek 5 minutes to the top of the ridge we were camping from, to take in the sunrise, awaked us. Thankfully we obliged as we were treated to stunning sun soaked views of the volcano, crater and summit. Returning to camp, the porters had packed everything away in preparation for our descent. In no less than 5 hours we passed through rock, forest and grassland through the marked positions and the sign indicating our end point of the trek. We were greeted by village life and were very much back down to earth. Abul had come to meet us with a driver and was keen to hear of our expeditions on our journey back to the hotel in Senaru, where we had begun our epic journey 3 days previous. In order to secure your booking they require a deposit of 30% of your total trip cost. 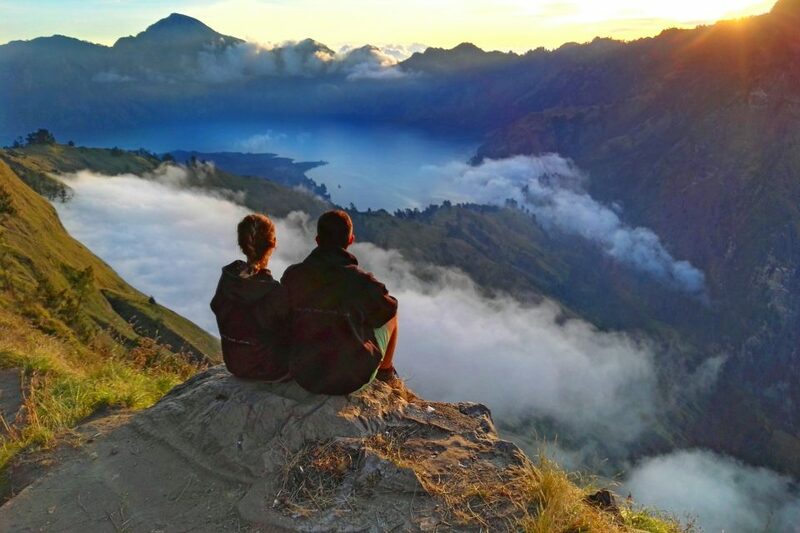 Overall, albeit that this was one of the most physically and emotionally challenging adventures we have ever taken on, the views, sights and features of Mount Rinjani were more than worth our efforts. The journey over the 3 days and 2 nights was simply epic and Abul Trekking was the perfect companion to showcase the beauty of the area and the trek itself.